ALICE WAS BEGINNING TO get very tired of all this sitting by herself with nothing to do: every so often she tried again to read the book in her lap, but it was made up almost exclusively of long paragraphs, and no quotation marks whatsoever, and what is the point of a book, thought Alice, that does not have any quotation marks? She was considering (somewhat foolishly, for she was not very good at finishing things) whether one day she might even write a book herself, when a man with pewter-colored curls and an ice-cream cone from the Mister Softee on the corner sat down beside her. Alice showed it to him. Alice had not yet read anything about watermelons, but she nodded anyway. They sat without speaking for a while, the man eating his ice cream and Alice pretending to read her book. Two joggers in a row gave them a second glance as they passed. Alice knew who he was—she’d known the moment he sat down, turning her cheeks watermelon pink—but in her astonishment she could only continue staring, like a studious little garden gnome, at the impassable pages that lay open in her lap. They might as well have been made of concrete. The next Sunday, she was sitting in the same spot, trying to read another book, this one about an angry volcano and a flatulent king. His hand shook a little as he broke off a square of chocolate and held it out. Biting into her chocolate, Alice gave him a quizzical look. The third Sunday, he bought two cones from Mister Softee and offered her one. Alice accepted it, as she had done with the chocolate, because it was beginning to drip and in any case multiple–Pulitzer Prize winners don’t go around poisoning people. They ate their ice cream and watched a pair of pigeons peck at a straw. Alice, whose blue sandals matched the zigzags on her dress, flexed a foot idly in the sun. “Are you game?” he repeated. Alice squinted up at him and smiled. Hands in his pockets, he lifted his chin slightly and seemed to conclude this made sense. While another jogger slowed to look at him, Alice wrote it down on the bookmark that had come with her book. “You’ve lost your place,” said the writer. On Saturday, it rained. Alice was sitting on the checkered floor of her bathroom, trying to screw tight her broken toilet seat with a butter knife, when her cell phone beeped: CALLER ID BLOCKED. Alice pictured a string, bowing like a giant jump rope over Amsterdam, trembling between them whenever they spoke. Alice wrote the address down on a piece of junk mail. Then she put a hand over her mouth and waited. The rain flooded the crosswalks and soaked her feet. The cabs churning a spray up Amsterdam seemed to be traveling much faster than they did when it was dry. While his doorman made room for her by pressing himself into a cruciform position, Alice entered purposefully: long strides, blowing out her cheeks, shaking out her umbrella. The elevator was plated top to bottom with warped brass. Either the floors it climbed were very tall or the elevator was moving very slowly, because she had plenty of time to frown at her infinite funhouse reflections and to worry more than a little about what was going to happen next. When the elevator doors opened, there was a hallway containing six more gray doors. She was about to knock on the first door she came to when another door, on the other side of the elevator, opened a crack and a hand came through, holding a glass. Alice accepted the glass, which was full of water. The next time the door opened, it seemed to swing wide on its own. Alice hesitated before carrying her water down a short hallway that ended in a bright white room containing, among other things, a draughtsman’s desk and an unusually wide bed. “Show me your purse,” he said from behind her. Alice set her purse down on the little glass table between them and unlatched it. She took out her wallet: a brown leather men’s wallet that was badly worn and torn. A scratch card, purchased for a dollar and worth the same. A ChapStick. A comb. A key ring. A barrette. A mechanical pencil. A few loose coins and, finally, three portable tampons, which she held in her palm like bullets. Fuzz. Grit. He opened the wallet and removed her debit card, her credit card, an expired Dunkin’ Donuts gift card, her driver’s license, her college ID, and twenty-three dollars in bills. Holding up one of the cards: “Mary-Alice.” Alice wrinkled her nose. For a moment, he alternated between looking at her and at the card, as though trying to decide which version of her he preferred. Then he nodded, tapped the cards into alignment, snapped a rubber band from his desk around them and the bills, and dropped the stack back into her purse. The wallet he lobbed into a mesh-wire wastepaper basket already lined with a white cone of discarded typescript. The sight of this seemed to irritate him briefly. Alice looked around. On the draughtsman’s desk a fresh manuscript awaited his attention. Beyond it a pair of sliding glass doors gave onto a small balcony sheltered by the one above it from the rain. Behind her the enormous bed was made up so neatly as to look aloof. Alice smiled and, still sitting five feet from him, extended a hand. The writer lowered his eyes to look at it for a long, doubtful moment, as though listed there on her palm were the pros and cons of every handshake he’d ever made. His skin was lined and cool. His lips were soft—but then his teeth were behind them. At her office, there were no fewer than three National Book Award certificates in his name framed on the lobby wall. The second time, when she knocked, several seconds went by with no answer. “It’s me,” Alice said to the door. The door opened a crack and a hand came through, holding a box. Lincoln Stationers, it said on the box, tooled smartly in gold. Inside, under a single sheet of white tissue paper, lay a burgundy wallet with a coin purse and a clutch clasp. “You’re velcome,” said the door. Again, she was given a glass of water. Again, they did what they did without disturbing the bed. Over her sweater, he put a hand on each breast, as if to silence her. “Oh,” said Alice, looking down unhappily. They watched as Jason Giambi slugged a three-two pitch into left center. When they sat looking at each other, across his little glass dining table or she on the bed and he in his chair, she noticed that his head pulsed sideways ever so slightly, as though with the beating of his heart. And, he’d had three operations on his spine, which meant there were certain things they could and couldn’t do. Shouldn’t do. “I don’t want you to get hurt,” said Alice, frowning. They used the bed now. His mattress was made of a special orthopedic material that made her feel as though she were slowly sinking into a giant slab of fudge. Turning her head to the side, she could see, through his double-height windows, the midtown skyline, looking huddled and solemn in the rain. He called her a mermaid. She didn’t know why. You are an empty vessel for a long time, then something grows that you don’t want, something creeps into it that you actually cannot do. The God of Chance creates in us. . . . Endeavours in art require a lot of patience. An artist, I think, is nothing but a powerful memory that can move itself at will through certain experiences sideways . . . When she opened the refrigerator, his gold medal from the White House, tied to its handle, clanked loudly against the door. Alice went back to the bed. Later, while she was washing up in the bathroom, he handed through to her a glass of white wine. Blackout cookies, they were called, and they came from the Columbus Bakery, which he passed every day on his walk. He tried not to eat them himself. Nor did he drink; alcohol didn’t mix with one of the medications he was taking. But for Alice he bought bottles of Sancerre or Pouilly-Fuissé and, after pouring her what she wanted, put the cork back in the bottle and the bottle on the floor next to the door for her to take home. One evening, a few bites into her cookie, Alice took a sip and made a daintily revolted face. He thought for a moment and then got up and went into the kitchen for a tumbler and a bottle of Knob Creek. He watched hungrily as she took a bite, then a sip. The bourbon went down like a flame. Alice coughed. “It’s heaven,” she said. An extremely sensible, analog, waterproof watch. Allure Chanel eau de parfum. A sheet of thirty-two-cent stamps from the Legends of American Music series, commemorating Harold Arlen, Johnny Mercer, Dorothy Fields, and Hoagy Carmichael. Afterward, while she sat at the table eating her cookie, he watched her in silence. When Alice hung up, she was smiling. Then she thought about it a little longer, and she frowned. She was reading the instructions that had come with her watch when her father called to inform her, for the second time that week, that not a single Jew had reported to work in the towers on the day they came down. But the writer did not call her again for many days. Alice slept with her phone next to her pillow and when she wasn’t in bed carried it around with her everywhere—to the kitchen when she got herself a drink, to the bathroom when she went to the bathroom. Also making her crazy was her toilet seat, the way it slid to the side every time she sat on it. She thought of going back to their bench in the park, but decided on a walk instead. It was Memorial Day weekend and Broadway was closed for a street fair. Already at eleven the neighborhood was smoky and the air sizzling with falafel, fajitas, French fries, Sloppy Joes, corn on the cob, fennel sausages, funnel cake, and fried dough the diameter of a Frisbee. Ice-cold lemonade. Free spinal health exams. “We the People” legal document administration—Divorce $399, Bankruptcy $199. At one of the stalls peddling brandless bohemian fashion, there was a pretty poppy-colored sundress lolling on the breeze. It was only ten dollars. The Indian stallholder got it down so that Alice could try it on in the back of his van, where a watery-eyed German shepherd watched her with his chin on his paws. Alice took off her pajamas and put on her new dress. Already a thread needed biting off. When she got to his apartment, only the lamp on his nightstand was lit and he was propped up in bed with a book and a glass of chocolate soymilk. “It’s spring!” cried Alice, pulling the dress over her head. “It’s spring,” he said, sighing wearily. Sometimes, it could feel like playing Operation—as if his nose would flash and his circuitry buzz if she failed to extract his Funny Bone cleanly. When she got home, it had been only an hour and forty minutes since he’d called, and everything was exactly as she’d left it, but her bedroom looked too bright and unfamiliar somehow, as though it now belonged to someone else. He forgot about dinner, or decided against it. Instead, when she arrived he sat her down on the edge of his bed and presented her with two large Barnes & Noble bags filled to the handles with books. Huckleberry Finn. Tender Is the Night. Journey to the End of the Night. The Thief’s Journal. July’s People. Tropic of Cancer. Axel’s Castle. The Garden of Eden. The Joke. The Lover. Death in Venice and Other Stories. First Love and Other Stories. Enemies, A Love Story . . . Alice picked up one by a writer whose name she had seen but never heard. “Ooh, Camus!” she said, rhyming it with “Seamus.” A long moment followed in which the writer said nothing and Alice read the copy on the back of The First Man. When she looked up he was still wearing a gently startled expression. Her own apartment was on the top floor of an old brownstone, where it caught the sun and stoppered the heat. The only other tenant on her floor was an old lady called Anna, for whom ascending the four steep flights was a twenty-minute ordeal. Step, rest. Step, rest. Once, Alice passed her on her way out to H&H and when she came back the poor thing was still at it. From the shopping bags she carried you would have thought she ate bowling balls for breakfast. “I won’t,” laughed Alice, running up the stairs. The party’s over. The air-conditioning’s over. Alice would stagger a little, taking herself home in the heat, her belly full of bourbon and chocolate and her underwear in her pocket. When she had climbed the four increasingly steamy flights up to her apartment, she would do exactly one thing, which was to move her pillows down the hall to her front room, where, on the floor next to the fire escape, there was at least the possibility of a breeze. Alice put down her cookie and wiped her mouth. Alice picked it up—Bridgehampton National Bank, it said on the front, next to a logo of a sailboat regatta—and took out six one-hundred-dollar bills. It was still light out when she left for home. The sky had a stagnant quality to it—as though a thunderstorm were due, but had gotten lost. The young people drinking on the sidewalk were just beginning their evenings. Alice approached her stoop slowly, reluctantly, one hand on the envelope inside her purse, trying to decide what to do. Her stomach felt as if she were still back in his elevator and someone had cut the suspension. There was a restaurant one block north with a long wooden bar and a mostly civilized-looking clientele. Alice found a stool at the far end, next to the napkin caddy, and arranged herself as though she were there primarily for the television mounted high in one corner. New York led Kansas City by four runs in the bottom of the third. Come on Royals, she thought. The bartender dropped a napkin down in front of her and asked her what she wanted to drink. Alice considered the wine specials listed on the wall. Her tab came to twenty-four dollars. She put her credit card down before picking it up again and taking out one of the writer’s hundreds instead. The bartender returned with three twenties, a ten, and six ones. “Those are for you,” said Alice, sliding the ones toward him. This reading group guide for Asymmetry includes an introduction, discussion questions, and ideas for enhancing your book club. The suggested questions are intended to help your reading group find new and interesting angles and topics for your discussion. We hope that these ideas will enrich your conversation and increase your enjoyment of the book. Told in three distinct and uniquely compelling sections, Asymmetry explores the imbalances that spark and sustain many of our most dramatic human relations: inequities in age, power, talent, wealth, fame, geography, and justice. The first section, “Folly,” tells the story of Alice, a young American editor, and her relationship with the famous and much-older writer Ezra Blazer. 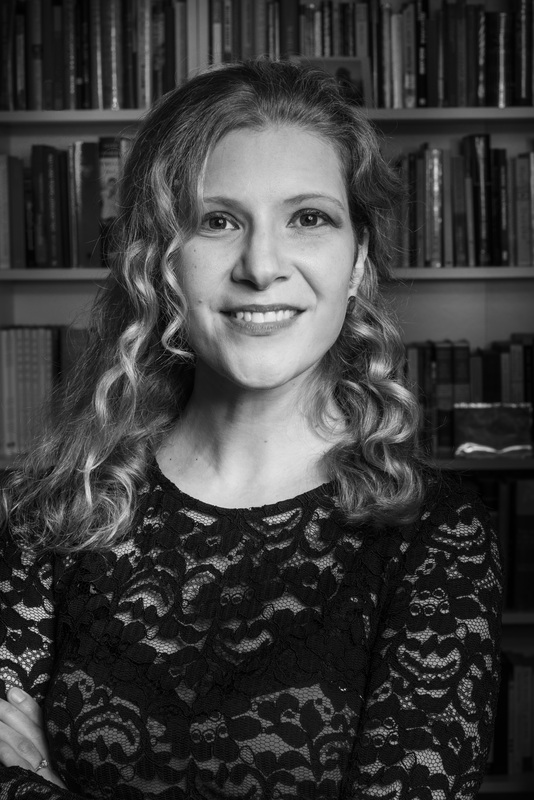 A tender and exquisite account of an unexpected romance that takes place in New York during the early years of the Iraq War, “Folly” also suggests an aspiring novelist’s coming-of-age. By contrast, “Madness” is narrated by Amar, an Iraqi-American man who, on his way to visit his brother in Kurdistan, is detained by immigration officers and spends the last weekend of 2008 in a holding room in Heathrow. These two seemingly disparate stories gain resonance as their perspectives interact and overlap, with yet new implications for their relationship revealed in an unexpected coda. 1. 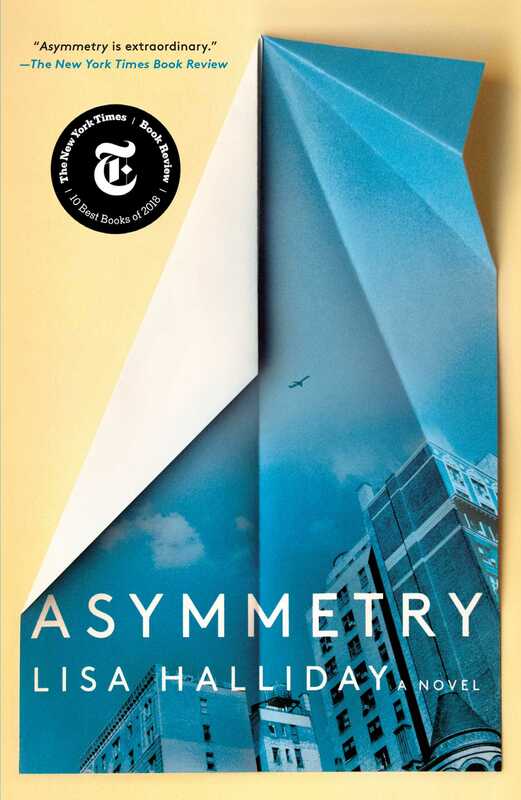 Why do you think Halliday chose to title her novel Asymmetry? Discuss the central relationships within the book. In what ways are they unequal? Are there other things that are asymmetrical within the book in addition to the interpersonal relationships? Discuss them with your book club. 2. Alice tells Ezra, “I guess you could say . . . that I’m a good old-fashioned girl” (p. 17). Describe the context of this statement. How did you interpret the statement? How would you describe Alice? Did your perception of her change throughout the novel? In what ways? 3. Discuss the structure of the novel. Did the titles of each section frame your understanding of the narrative that follows? If so, how? Who or what do you think “Folly” and “Madness” refer to? 4. Amar recounts how at a dinner with Maddie and one of Maddie’s high school friends, the conversation turned to religion. Were you surprised to learn that Amar was religious, given that he identifies as an empiricist? How does he reconcile the two belief systems that are seemingly at odds? Explain his argument in favor of religion. 5. Amar says that his mother has told him, “You would be happier . . . if you were more like your brother. Sami lives in the moment, like a dog,” and then notes with irony that Sami’s name means “high, lofty, or elevated—not traits you’d readily associate with [a dog]” (p. 149). Did you find yourself making certain assumptions about the characters based on their names? If so, what were they? Ezra’s name isn’t revealed immediately when he starts spending time with Alice. What’s the effect? 6. Amar “once heard a filmmaker say that in order to be truly creative a person must be in possession of four things: irony, melancholy, a sense of competition, and boredom” (p. 152). Do you agree? What do you think leads to creativity? As a well-respected author, Ezra is viewed by many as “truly creative.” Do you think he possesses all the characteristics enumerated in the statement? Share some examples. 7. When they are discussing a homeless man in their neighborhood, Ezra chastises Alice, telling her, “Don’t sentimentalize him” (p. 38). Explain this statement. Why does Ezra object to the way that Alice is speaking about the man? Are any of the other characters guilty of sentimentalizing others within the narrative? What are the dangers in doing so? 8. Ezra asks Alice, “Do you ever think this isn’t good for you?” (p. 49) of their relationship. Why might it be detrimental to Alice? What do you think of their relationship? Did your feelings about it change as you got to know Ezra and Alice as a couple? Why or why not? What do you think they see in each other? 9. Amar muses, “Sometimes I wonder whether we hide lovers from others because it makes it easier to hide ourselves from ourselves” (p. 179). What are the reasons that Alice and Ezra give each other for keeping their relationship hidden? Do you think they’re being truthful about the rationale behind their actions? Explain your answer. 10. When Amar is speaking with Hassan, Hassan tells him to “think about the future.” Upon reflection, Amar says, “If I were to articulate the prevailing impression of the . . . weeks I spent in Iraq . . . it would be to venture that the future meant something very different there from what it means in, say, America” (p. 222). Based on Amar’s descriptions of his visit in Iraq, do you agree? Why is it so hard for Zahra’s family to understand the concept of making New Year’s resolutions? Compare his world view to that of Zahra’s family. Do Ezra and Alice also experience different perceptions of what “the future” means? Explain your answer. 11. Amar tells Sami that the more time he spent in the Middle East, the more he understood why Alastair said “the more time a foreign journalist spends in the Middle East, the more difficult it becomes for him to write about it” (p. 226). Explain the sentiment that Alastair expresses. What causes Amar’s view to evolve? Why does Sami disagree? What does Sami think the role of art should be? What do you think? 12. Passages from several books are interspersed within the text of Asymmetry. What books do these excerpts come from? Why do you think that Halliday has included these passages? Did the excerpts affect your reading? If so, how? 13. Both Amar and Alice make unexpected disclosures to strangers—to the doctor in the airport and to the judge during jury duty respectively. What are the disclosures that each of the characters share? Why are they able to make these assertions in front of virtual strangers? Were you surprised by their pronouncements? 14. Consider the parallels between Asymmetry and Alice in Wonderland, beginning with the first sentence and including all the foods and beverages (and pills) Alice and Ezra eat and drink, the description of Alice's first ride up Ezra's elevator, Amar's reflection on rabbit holes, and Ezra's reference on page 261 to penetrating the looking-glass. Discuss these and any other similarities between the two books. What might this connection be trying to say? 15. Chad Harbach praised Asymmetry, saying, “Halliday’s debut novel starts like a story you’ve heard, only to become a book unlike any you’ve read. The initial mystery is how its pieces fit together; the lasting one is how she pulled the whole thing off.” Were you able to solve the “mystery” of how the seemingly disparate stories related to each other? Talk about it with your book club. Did you find the stories more powerful by reading them in tandem? 1. Maddie tells Amar, “I’ll want to be a doctor because I’ve been reading William Carlos Williams and I’ve decided his is an exemplary life” (p. 175). Learn more about William Carlos Williams and read some of his poems with your book club. Did you find them inspiring? If so, what was it about them that spoke to you? Why might his writings inspire Maddie to go into medicine? 2. Listen to the songs on Ezra’s Desert Island Discs playlist. Did you like them? What would you choose for your own playlist? Share your selections with your book club, explaining the memories behind each of your choices. 3. Ezra gifts Alice with blackout cookies from “the Columbus Bakery, which he passed every day on his walk” (p. 11). Try blackout cookies with your book club. What do you think of them? Are there any local foods, like Ezra’s blackout cookies, that are special to you? Tell the members of your book club about the foods, taking care to explain what it is about the foods that makes them important to you.